In the last episode of this sports-centric discussion with former football star Anthony Davis, Dr. Daniel Amen and Tana dive into the subject of social influence, and the impact it has on young athletes and impressionable youth. Anthony Davis shares his backstory, and how relied on discipline, focus, and teamwork to make the right decisions necessary to rise from less than ideal circumstances. Dr. Daniel Amen:	Tana grew up in. The impact that had on your development. We'll also talk about the impact that has on brain health. Talk to us about growing up and what that was like for you. Anthony Davis:	It was really tough for me because I was a low esteem child. Once I found out I could play baseball I put everything in that. I put everything in my athletics. Dr. Daniel Amen:	Why did you have low self esteem? Anthony Davis:	Because my father said I would never be anything. He used to tell my brother and I that before we were 20 years old we'd both be in a penitentiary. Tana Amen:	Oh my gosh. Dr. Daniel Amen:	Why was he negative like that? Anthony Davis:	I really don't know to this day. He was a habitual alcoholic. He still is, he's 90 years old. I guess the genes, probably the good thing he did, he laid out good genes. His mother lived to 100. That was my problem growing up; low self esteem, no motivation in terms of that. It was really funny, my brother is a criminal attorney now. Tana Amen:	Wow, that's amazing. Anthony Davis:	I have a sister who is retired who did well and I have a baby sister that has some problems. I had a tough time socializing because of that. Didn't know, didn't have that male image that can help push me through certain crisis that I was going through as a kid. I had grasp at people like my high school coach, my history teacher in high school was very influential on me and some of my decision making who would talk to me about choices in schools and stuff like that. Didn't have it with my father. Tana Amen:	It's interesting, I also didn't have, my Dad was gone, just disappeared. His side of the family was pretty dysfunctional anyways. Dr. Daniel Amen:	Yeah, there was suicide. Tana Amen:	My mother's side of the family was very dysfunctional but my mom was a strong figure. She did the best she could, she was at least a strong figure. My early memories were of my uncle being murdered in a drug deal gone wrong, my mom shooting a shotgun out our back window at someone who broke in our house or her attacking someone who had done something to me. It was crazy, it was chaotic but the one thing I will say is that for as crazy and chaotic as it was somewhere in my head I still felt like, "Okay, there's still someone here to protect me. Someone standing up for me." Maybe not in the best way, maybe not a great ... I think the thing that helped me pull through that, because I had very low self esteem, I could even read, I was in special reading groups when I was little. We were very poor, my Mom was gone, I was a latch key kid but that idea that there was someone who would die for me, who would kill someone for me, because in our environment it was survival. You know what I'm talking about, it's a survival environment. That idea that, "Okay, this is not easy, this is really awful but that person will die for me." Anthony Davis:	The same, the thing we have in common, my mother was rock. My mother was the daughter of a share cropper. She was the force. I always tell her, I said, "Mom, you did the best you can in a situation. You're the best of the two evils because you were still in an environment, so the environment put pressure on you so that's why you reacted to us from a disciplinary standpoint. You did the best you could." I always reinforce that to her. Tana Amen:	Yes, me too. Anthony Davis:	Because sometimes there's some issues in the family. She says, "If I could have done this or that-"
Tana Amen:	My mom too. My mom was a 16 year old runaway. When I think about where my mom came from, and by the way, she's highly successful now, I mean really successful. I think about where she came from, what we went through and how she managed to pull through that, that's a strong woman. Tana Amen:	That was my example growing up, that work ethic. When people think I'm intense I think, oh, you haven't met my mom. You have not met my mom if you think I'm intense. Dr. Daniel Amen:	Your dad was not a positive influence, he's erratic. There are 30 million children of alcoholics in the United States today. Anthony Davis:	I believe that. Dr. Daniel Amen:	It can leave lasting scars on how you feel about yourself and so on. Who helped get out of the low self esteem? Tana Amen:	That was your drug? Your feel good. Anthony Davis:	That was my drug, that was my base. Then I added, started doing that, teachers, it was coaches, there was other influences. Tana Amen:	You really wanted a strong mentor, you just didn't have one naturally. Anthony Davis:	Didn't have one. Even the mistakes I made, like you said the long effects of alcoholism and whatever, the long effects of that effected me as a professional and everything because I made mistakes because I didn't have that guidance, but I always tried to draw to those people that were really trying to help me. That's how I got out of it. Those tentacles of people out there I pulled on. Dr. Daniel Amen:	You were coachable? You were looking for guidance and when you found someone you trusted then that worked? Anthony Davis:	Yes. The thing like I said about the cloud, easy could have been a drug addict, easy could have been homeless, easy could have been an alcoholic, easy could have been a criminal. Tana Amen:	That's the easy thing. Anthony Davis:	Because I was around that all the time. I remember one time I was with my high school wide receiver, I was the quarterback and somebody stole a car that we knew and in the street, he went down to look at the car and I went down the street with him but I didn't get involved in the crime scene and all the sudden the cops start chasing us. I outrun them, I outrun the cop car. Tana Amen:	Because you were fast. Anthony Davis:	That kind of stuff I could have easily got into. The marijuana stuff, the drug stuff. We had a popular drug called, they called back in the day when we were going to high school, called Red Devils and Blue Havens. It was a choice of the drug of the kids of the day. I could have easily been caught in that. A lot of the time I saw great athletes around me who should have had success like me, didn't do it because they were in that cloud and never got out of it. I talk about a kid by the name of Tony Grace who went the neighboring high school. This kid was 14 years old, fastest 14 year old in the country, he ran like 9:00 800 at 14. I didn't run that until I was a junior in high school. Where everybody thought he was going to be the next superstar, amazing ability, never happened. Tana Amen:	You've got to wonder why someone like Anthony Davis who had the cards stacked against him pulls out of it and some of these other guys just can't do it. Even in my own family, my half sister, her life fell apart. You've got to wonder why some people do it and some people don't. Dr. Daniel Amen:	We should get practical for people who are listening that grew up in trauma or drama like both of you. My life was much better. Tana Amen:	Your home is amazing. Dr. Daniel Amen:	My dad and I would fuss but there was always food, nobody was doing illegal things, at least that I knew about. 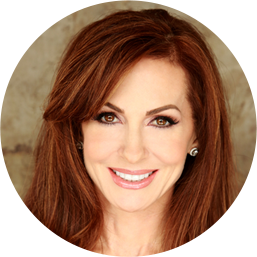 Dr. Daniel Amen:	My mom is just the most consistently reliable person on the planet but what are the steps to getting out of those traumatic years? Because not everybody who grows up in that goes to jail or becomes a drug addict. Tana Amen:	No, my sister went the other direction where I went. I went one direction, she went the other way. Dr. Daniel Amen:	Why do you think that is? That's really a question for both of you. AD had his talent, but as you just said, not everybody with talent rises above [crosstalk 00:08:41]. Tana Amen:	They don't. First of all not everybody has that talent. Second of all, even the people who have the talent, not everyone's able to do it. Anthony Davis:	What I would suggest to a kid looking at me, I would say, "If you have issues at home, you go grab your counselor, you go grab a teacher that you like. Start talking to that teacher. Somebody you think that makes you feel good, that makes you happy, start having discussions that truly help." That's what got me out of it. If I didn't have that support group like that, and I fell in it, not really knowing. Those people are the reason that I was able to get out. Was I fully loaded with things that I should have had? No, I figured it out down the road. Tana Amen:	You had to do a lot of hard work. One thing I would say, it's not always an easy thing to do, you have to step back and actually recognize it. I knew that as much as I loved my family I did not want to be like them. There was a point where I made a conscious decision that, and I chose mentors. I don't want to end up like this as much as I love them, I'm not going to end up like this. I made that conscious decision and I chose mentors. These weren't always mentors I actually knew, sometimes I would create a vision of someone's life that I wanted to be like and I literally just started modeling myself. In order to pull yourself out, it doesn't always have to be someone you actually know but you do need to get some help. Tana Amen:	See, that vision. Anthony Davis:	That vision. That inspired me, watching him and Hank Aaron. Tana Amen:	The Bible says, "A man without a vision will perish." Anthony Davis:	I had a lot of visions, a lot in my head. That's what I had, that also helped me as well. I had a fighting desire to do well. Sometimes I fought with it because of the environment but I reached out to those people. Tana Amen:	Yes, I'm right with you, I understand. Dr. Daniel Amen:	It's often what we say about health, "If you want to be healthy find the healthiest person you can stand and then spend as much time around him or her as possible." Tana Amen:	If you hang out with sick people you're going to get sick. Dr. Daniel Amen:	If you have hang out with drug addicts you're more than likely to use drugs. If you hang out with criminals you're more likely to be a criminal. If you hang out with ... It's visioning, I'm hearing both of you say that, visioning what you want for yourself and then finding people who are like that to spend time with and to mentor you. Tana Amen:	Who have the life you want. Anthony Davis:	I didn't find the people, the athleticism that I had, they found me and they saw some flaws in me that could derail my athletics of going forward. That's how, I'm telling people who are listening to me now, watching me, if you're having issues you go find those folks that you care for, that makes you feel good from a foundation point of view, they can pull you in and help. Because I didn't have anybody telling me that. They were gravitating to me because I was so talented in those sports but they saw some flaws that could derail that. Anthony Davis:	Heavy, huh, Doctor. 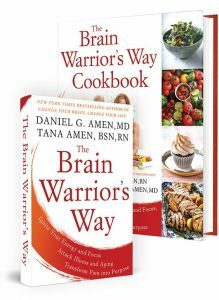 Dr. Daniel Amen:	It's awesome. I became a psychiatrist because I love the stories of people's lives. Tana Amen:	We're bonding over trauma here. Dr. Daniel Amen:	Let's just conclude this series with three of the most important things you've learned since you came to Amen Clinics and we became friends and started working on your brain. If I just said, what are the three big lessons that you've learned from our work together? Anthony Davis:	I had discipline, focus, teamwork. That's the three things. That's why I'm where I am today, then years later. Tana Amen:	He's a warrior. Anthony Davis:	Since you called me the Father of the Brain Study, now I'm able to really after 10 years solidify what this Amen Clinic has done for me. Because a lot of people would say, "That's Andy Davis, he's this, he's that. That's hokey pokey." The science is in the pudding, go look at it and see where I've come from 2007 to now. Those are my three. Tana Amen:	Well done, he's a warrior. Dr. Daniel Amen:	Discipline, focus, teamwork, you are not stuck with the brain you have, you can make it better. We proved it with you and with thousands of other people. Anthony Davis:	I'm the only one Doc, out there of the study, who's been consistent on it for 10 years that now everybody can look at and they can't deny. That's why we built this program, now we can really let everybody know in society that I'm the living witness of this program. Dr. Daniel Amen:	We're proud of you. 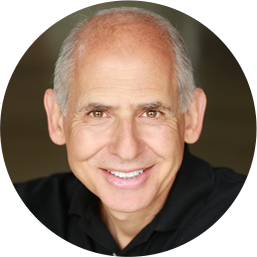 Dr. Daniel Amen:	Proud to be your friends. Stay with us. You're listening to the Brain Warrior's Way Podcast.